For audiophiles looking for tweaking their computer cables, Kimber was showing the new silver wire USB cables ($125 per meter) and you can use then with or without ferrites. 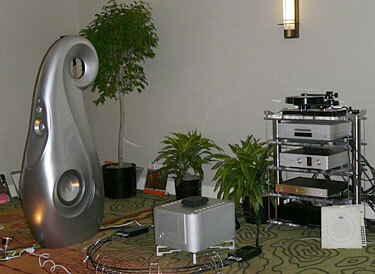 In the GamuT, ZYX room had their large system on display. One of the most important items in the system is actually one of the smallest. 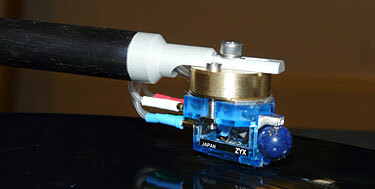 Specifically, the ZYX Omega Lapis Lazuli ($7500) MC cartridge that features a ball for the concept of a balance sweep-like idea according to the representative that is akin to that of playing golf. 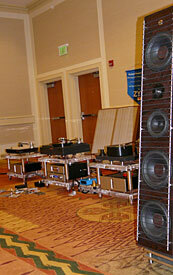 Naturally the Luxman room had all their top-of-the-line bits, and was driving a pair of Vivid Audio speakers. In the big auditorium was a 'Can Jam' for headphone enthusiasts. 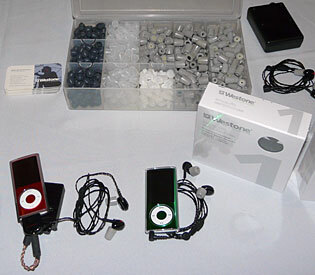 There is a wide array of tube and solid-state amplification, headphones, in ear monitors and much more. 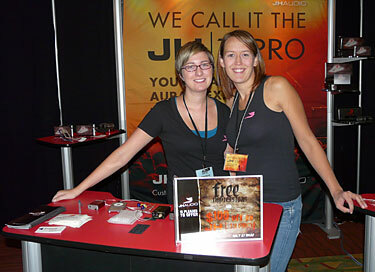 JH Audio offer custom in ear monitors for professionals, rock stars and audiophiles. They offer six models staring at $399 going to $1099. Westone knows that proper fitting is key and so all models come with ten different insert styles plus you can have full custom fitting of course. 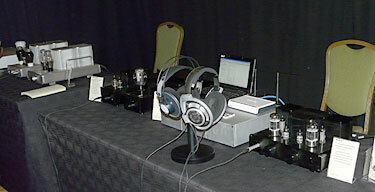 Woo Audio had a wide range of goodies from tube amplification to sweet-sounding headphones.